Thames-Coromandel District Council is in the process of creating a new District Plan that will determine what land use activities can and cannot happen throughout the district for the next 10 years. In the last District Plan process Watchdog fought through to the Court of Appeal to prove that it is legal for local councils to identify areas that are inappropriate for mining. Building on that success (from that win), this time we are pushing for TCDC instate sensible protections across the Coromandel Peninsula. Submissions, 13 December 2013 – 14 March 2014: On December 13th the proposed District Plan was released. The provisions for mining in the proposed plan caused great concern. 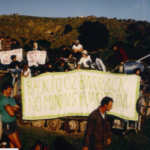 Our homes, our rural areas, our unique coastal environment, the Coromandel ranges, our conservation estate – all were open to applications for resource consent for mining activities. Watchdog knuckled down to write our comprehensive submission and got out and about to support others to write theirs. And hundreds of people did! Thank you if you were one of those people who put in a submission to prohibit mining activities throughout the Peninsula. 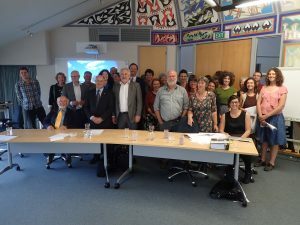 Further submissions 3 June – 16 June: All the submissions on the Proposed District Plan were published online and anyone who wanted to support or oppose any points in those submissions were able to do so. Watchdog put in a further submission to support and oppose various points in a number of submissions. 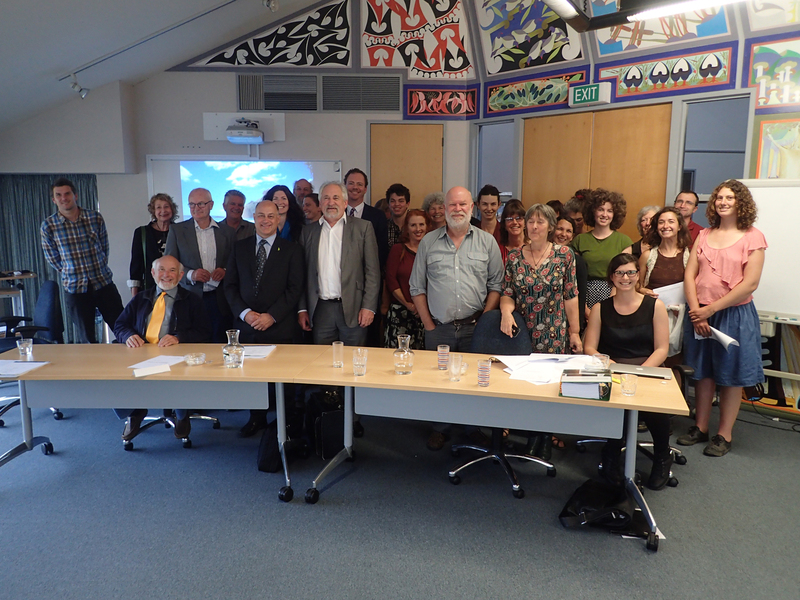 Hearings 16 September 2014 – May 2015: The mining (or anti-mining as we called them) hearings were held in December 2014 and Watchdog gave a three and a half hour presentation (hearing) during which local residents of the Coromandel, supported by expert witnesses and our legal team provided evidence as to why mining activities should be prohibited. Our experts included Dr Phil Bishop, the world’s leading expert on the Archey’s frog, RMA Lawyer Rob Enright, RMA Planner Graeme Lawrence, Landscape Architect Di Lucas, Marine Biologist Roger Grace and Contaminants Expert Gordon Jackman. You can download copies of their evidence here. We also attended the biodiversity and the landscape hearings. After all the hearings, the District Plan Hearings Panel (made up of two independent commissioners and one elected representative) assessed the written and presented submissions and evidence presented at the hearings. The Panel then made recommendations to the Council, which the Council could chose to adopt or not. Once the Council decided what changes to adopt they released the Decisions Version. Decision Version Announced 29 April 2016: When the Decisions Version was released all submitters had the opportunity to lodge their appeals with the Environment Court if they objected to the Council’s decisions. Watchdog did object, lodging a broad appeal to keep pushing for better environmental protections throughout the Peninsula. In the Decisions version, underground mining is still possible within all of the “Overlays” which are created to provide extra protection for our most precious ecosystems and areas. Underground mining would even be possible within Moehau! The Council has got rid of the ‘Amenity Landscape’ which acted as a buffer for many of the outstanding landscapes throughout the peninsula and provided protection for popular recreation areas. Now much of that land is simply a part of the Rural Zone which has ridiculously weak protections. For example surface mining (open cast mining like the Martha Pit in Waihi) would only need to apply for a Discretionary resource consent. Same in the Conservation Zone! Right now we and other parties with appeals relating to those areas are attending mediations with an Environment Court appointed commissioner. For us, that means defending the prohibited status for mining in the overlays and going for the toughest rules elsewhere. 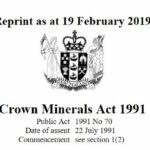 Meanwhile, both Waihi Gold (Oceana Gold) and the Government (wearing their MBIE hat) are trying to gain easier rules for mining. If we are unable to get sufficient protections in this process the next step will be the Environment Court. In order to fund our Environment Court case and our experts we are going to need EVERYONE’s help to fundraise. You can donate here. TCDC has now decided to re-notify part of the Plan – the Coastal Environment Line – and as such the mining provisions have been tabled, and are on hold until that process is complete – so, continue to watch this space! We are now finished with our part in the appeals process, and are just waiting on the final resolutions after which the Plan should become Operative.